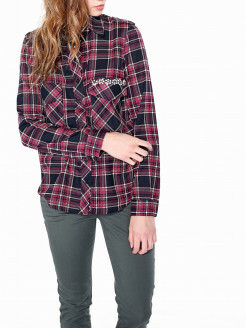 Long-sleeve 100% COTTON shirt with cuffs, collar and button closure. 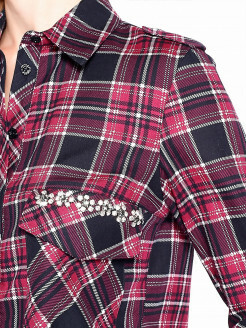 Pockets applied on front with SHINING Liu Jo personalisation. 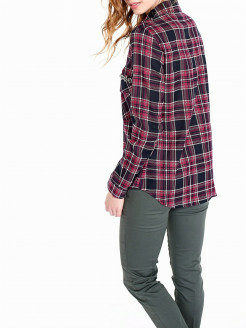 Flared line and TARTAN fabric. 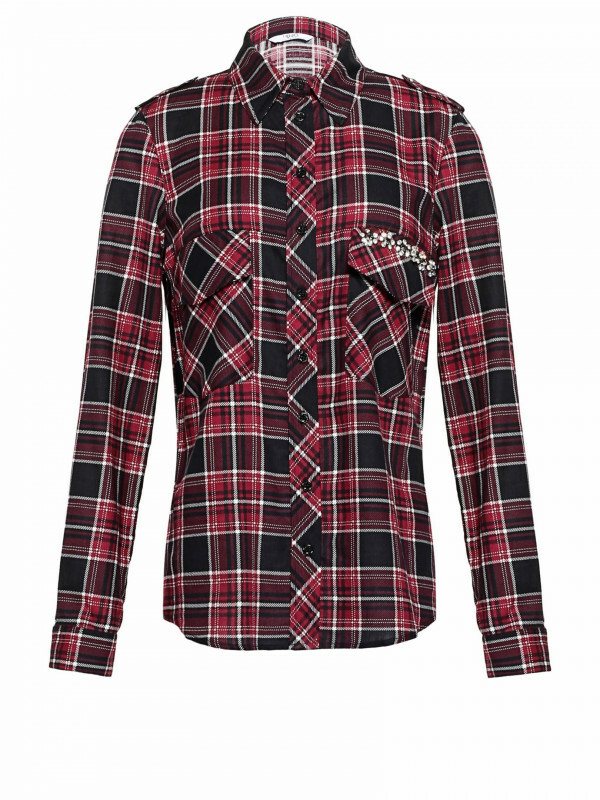 The TARTAN print is one of the TRENDS of the FW 2015 season and will give you outfits a SOPHISTICATED look. 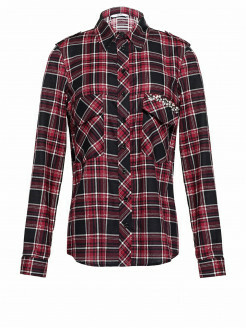 Give your outfits a touch of ROCK by matching this shirt with FAUX LEATHER LEGGINGS or TROUSERS.